^ Yang di-Pertua Negeri. Sarawak Government. [2016-01-12]. （原始内容存档于2015-09-07）. ^ Chief Minister of Sarawak. Sarawak Government. [2016-01-12]. （原始内容存档于2015-09-07）. ^ Sarawak – Facts and Figures 2011 (PDF). Sarawak State Planning Unit, Chief Minister Department: 5, 9, 15, 22. [2015-11-24]. （原始内容 (PDF)存档于2015-11-24）. ^ Population by States and Ethnic Group （各州的人口和民族统计）. Department of Information, Ministry of Communications and Multimedia, Malaysia （马来西亚通讯和多媒体部）. 2015 [2015-02-12]. （原始内容存档于2018-02-12）. ^ Facts of Sarawak. The Sarawak Government. [2015-07-23]. （原始内容存档于2015-07-23）. 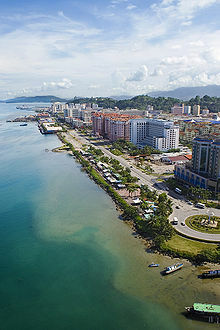 ^ The National Archives DO 169/254 (Constitutional issues in respect of North Borneo and Sarawak on joining the federation). The National Archives. 1961–1963 [2015-04-23]. ^ Vernon L. Porritt. 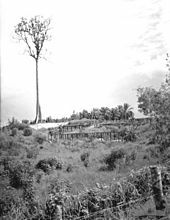 British Colonial Rule in Sarawak, 1946–1963. Oxford University Press. 1997 [2016-05-07]. ISBN 978-983-56-0009-8. ^ Philip Mathews. Chronicle of Malaysia: Fifty Years of Headline News, 1963–2013. Editions Didier Millet. 2014-02-28: 15–. ISBN 978-967-10617-4-9. ^ Frans Welman. Borneo Trilogy Sarawak: Volume 2 (婆罗洲砂拉越三部曲：第2卷）. Booksmango. : 132, 134, 136–138, 177 [2013-08-28]. ISBN 978-616-245-089-1. 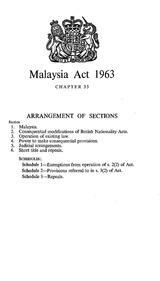 ^ Malaysia Act 1963 (Chapter 35) (PDF). The National Archives. United Kingdom legislation. [2011-08-12]. （原始内容 (PDF)存档于2012-11-14）. ^ Governments of United Kingdom of Great Britain and Northern Ireland, Federation of Malaya, North Borneo, Sarawak and Singapore. Agreement relating to Malaysia between United Kingdom of Great Britain and Northern Ireland, Federation of Malaya, North Borneo, Sarawak and Singapore. 维基文库. 1963: p. 1. ^ Yeng, Ai Chun. Malaysia Day now a public holiday, says PM. 2009-10-19 [2015-08-07]. ^ Palawan Tourism Council: History of Palawan at the Internet Archive. Accessed August 27, 2008. ^ Kinabalu Park - Justification for inscription, UNESCO World Heritage Centre. Accessed 24 June 2007. ^ Laporan Kiraan Permulaan 2010. Department of Statistics Malaysia: iv. [24 January 2011]. （原始内容存档于2010年12月27日）.